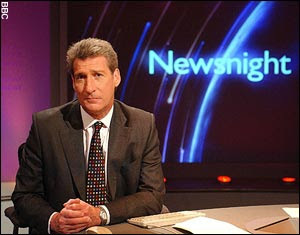 Wonderful demolition job by Jeremy Paxman on BBCs Newsnight. Paul Dennison, the Brain Gym founder, came across as a complete fraud, actually he came across as a complete idiot. Paxman’s satellite interview had me in stitches. In response to Paxman’s quotes from the Brain Gym teacher manual, Dennison claimed that humans ‘were electrical’ and, holding his arms out, that all we needed ‘was a rebalancing towards the centre’. 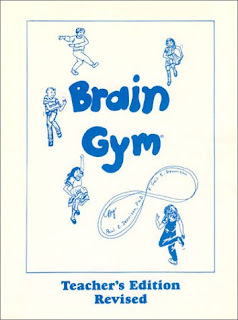 He clearly had no idea of even the basic biology of the central nervous system or blood circulation, yet claims that Brain Gym uses these to boost learning. I wish I had recoded it for YouTube. Several viewers on the BBC website thought it was a April Fool’s joke. Luckily we h ad serious academics like Colin Blakemore, a neuroscientist at Oxford University, and Dr Paul Howard-Jones from Bristol University, who said it wads 'complete nonsense'. To paraphrase them, throw it in the bin. there’s no evidence that it works, and its claims are completely bogus. Actually, there’s a more serious issue at stake here. Research by the Howard-Jones Bristol University Innovation Unit into teacher training shows, astonishingly, that current teacher training programmes generally OMIT THE SCIENCE OF HOW WE LEARN. Read that again – they consciously ignore the most important aspect of their profession. Can you imagine engineers not knowing anything about physics or dentists steering clear of knowledge about teeth? What’s going on here? Even worse, the research showed that the teaching profession often promoted and used debunked theory such as VAK learning styles, Brain Gym and left/right brain theories, that have no scientific basis, and may be doing harm to our children. It would seem, from the research, that teachers are keen to be informed in brain science (research showed that 87% wanted more knowledge), yet those in charge of teacher training seem ill-equipped to deliver this knowledge. Even the most basic knowledge of learning theory, especially memory theory, one of the most researched topic in learning, was absent from the training. The back-up piece with comment from Blakemore et al is here. Donald, I watched it too and had to post on it myself immediately after. Deeply worrying. I talked to my own kids about this morning and described some of the exercises that the poor children were being asked to do. The looks on their faces were priceless. I did a PGCE in 1976-77. We spent a third of the year on teaching practice, and two-thirds learning about teaching and learning, including the stuff you mention. I trained teachers from 1993-2003, and got increasingly demoralised at the incessant interference from government, which all too often emphasised a kind of "on the job" learning style, and the implementation of their increasingly barmy initiatives. The result is a generation of teachers who have had no training in the basics of cognitive psychology or the philosophy of education or anything other than the "delivery" of the dreary mush that passes for a national curriculum. They haven't the knowledge to challenge the nonsense of the brain gym - and, in my view, they lack intellectual curiosity- but that's another story. This is an interesting comment. Is it also the case that those teach i such institutions have also contributed to keeping 'psychology' out of the training? There seems to be a current obsession with vague 'collaborative' and 'social' learning. Is that what you mean by 'on the job' learning? The major problem as far as I was concerned was that there was no space to actually think and learn about what education is. The introduction of a regulatory authority (the TTA, now the TDA) menat that all PGCE courses had to follow rigidly defined patterns (including two-thirds of the available time spent on teaching practice) as trainees acquired "competences". This, coupled with a national curriculum, meant that teacher training was reduced to an endless box ticking ecercise- PGCE students were assessed to death, like the kids they were teaching, but assessed on whether they had demonstrated that their lesson plans would "deliver the desired learning outcomes" rather than whether they actually knew what they were doing. I remember writing essays about Ivan Illich, a remarkable figure, whose basic idea was that schools were bad and should be abolished. Reading him, and reflecting on my own experience, made me think carefully about what schools were for, and how they might be improved. No room for that now, of course - it's all about adhering to the government line. You can even get a teaching qualification through the graduate training route where you are based in a school throughout, and have no input from anyone other than your doubtless hard-pressed mentor. In my experience, teacher trainers have tried very hard to keep the process as open and as intellectually demanding as possible - but when the time you have available has been slashed by fifty per cent, and the training process has been reduced to assessing whether someone has attained the competences, it's hard to maintain any sort of breadth. The last lesson I observed was "delivered" (a very suggestive term) by a trainee who was following the secondary literacy strategy. This is aimed at pupils of low attainment, and is a kind of catch-up programme. He had to structure the lesson according to a script provided by the DfES (as it then was), which specified what he had to say, when, what he had to put on the board, and so on. The content was appallingly dreary, and actually made fundamental errors about language and usage. The trainess did his job. In the debriefing, I said something along the lines of "Well, I bet you're glad you don't have to do that every lesson." He looked puzzled, and I said how dull, and stifling of any teacher creativity I thought it was. "Oh no," he said, "it's great - all the lessons are planned for you, and you just have to follow the script- you don't need to think." Yes, I thought, no thinking required. I'm sure something similar is at work with the brain gym - teachers have been given lesson plans, and scripts, and they are just programmed to do it. Oh, and by "on the job" learning, I meant just that - on the graduate training scheme, you just pick it up by osmosis apparently. No time for reflection, exploration of the debates about teaching, nothing on learning styles, educational theory, or the other, obviously far too intellectual stuff that PGCE courses used to provide. As you say, it was pretty much a demolition job. Clearly it doesn't do what it says on the tin. But I know teachers who swear by it - not because of the pseudoscience, but because it does help them in the classroom. The most logical view seems to be that it changes the dynamic in the classroom - it provides a short break and brings a bit of ritual to the classroom, breaking up the time spent sitting at tables being talked at. "The result is a generation of teachers who have had no training in the basics of cognitive psychology or the philosophy of education"
3) Would make a difference in practice to how teachers do their job? I am not saying they don't exist - but I am struggling. I am not saying they don't exist - but I am struggling." I think this rather betrays the kind of reductionist view of education that I was trying to suggest was stifling the training of teachers. The point I was (obviously not very successfully) making was that, unless trainee teachers had the time and space to explore theories of education, and to develop their own ideas about the process of education, then we are in danger of producing more of the teaching clones we have now. An anecdote to illustrate what I mean. Years ago, I taught a class of what were then called "remedial" readers. Many struggled with books that children five years younger would manage with ease. One boy in the group found a book that had been misplaced in the pile of remedial readers he was supposed to choose from. He wanted to read that book, "Treasure Island," because it was about pirates, and he liked pirates. I knew he would struggle with Stevenson's language, but also knew - from studying the psychology of learning - that his personal motivation might help him. I think a present day teacher would just say "No, you have to choose another book". I allowed him to read "Treasure Island". It took him weeks, and he had real difficulty, but it was the first book he ever wanted to take home, and the first book he wanted to talk and write about. It was a breakthrough for him - his reading improved noticeably after that. I just think the present method of training teachers leaves them with no professional autonomy, and I think that's a shame. My comment was questioning the idea that there is a substantial body of "hard science" which teachers and learning professionals should use. This is a genuine enquiry and so far I have not come across much. I have nothing against spending more time on reflecting on learning but I wondering how much science is useful. Your anecdote rather supports this. Do you really need to study the psychology of learning to appreciate that being motivated helps you learn? I would have thought that any parent or responsible adult with an iota of common sense would have acted as you did. Mark - I agree, but common sense is remarkably uncommon in this field. Hard science on topics such as this one is difficult, because it's so hard to measure the intangible. I just think that a course that obliges potential teachers to think about what education is might have the edge on one that simply trains them to implement government directives unquestioningly. Edu-K/Brain Gym = A money making fraud. The founders laugh at their followers.